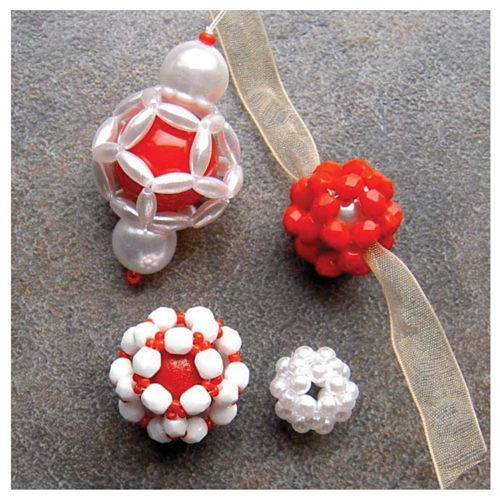 Includes all pages from the Free Dodecahedron Bead Ball Tutorial with additional pages of diagrams and step-by-step text instructions for exactly how to add seed beads to the vertices (as in the bead in the lower left of the photo). Also included are instructions for tying a concealed knot. Portions of this pattern are included in the e-book Basic Beaded Beads.